Somewhat more recently I have begun offering plasti dip services for customers, in addition to my vinyl wrapping. 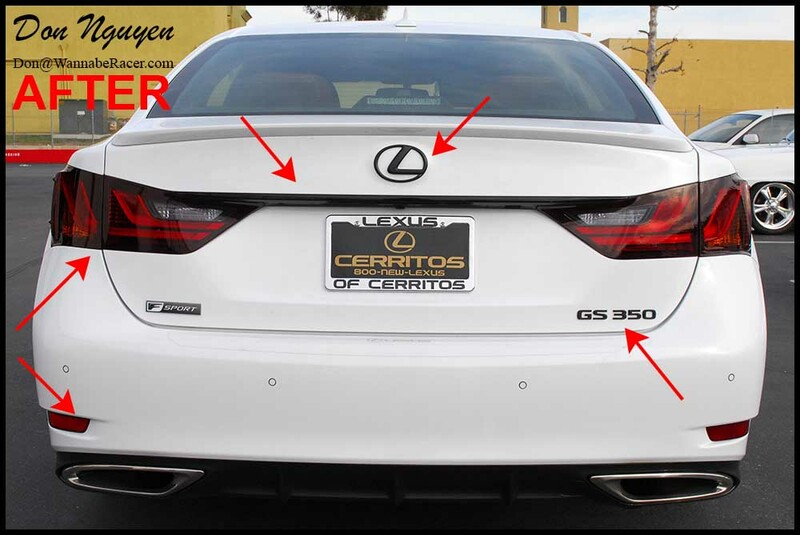 So the owner of this white Lexus GS350 F Sport sedan came by to have me plasti dip his rear badges, wrap his front grill and middle portion of his bumper in gloss black, lightly tint his tail lights and also to lightly tint his front Lexus logo/emblem in the grill. Individually, they are smaller pieces than say having the roof wrapped, but even these small subtle changes all contributed to the overall look of the car.